Founders, as you build your company and it grows, avoid the temptation to propel your self-esteem and self-importance by the number of people working in your firm. The number of staff working in a company is a very terrible metric to measure success in the 21st century. Do not scale the wrong metrics just because it makes you look “big”. Yes, I do understand that some partners may focus on that in Nigeria before they could give you an opportunity. It is typical with banks and insurers as one of the key metrics they use is staff strength in ascertaining readiness for partnership. You do not need to fault them – they have the rights to examine partners from any angle they choose. Yes, apparently, the more people you have, the more established you may seem! But do not follow that path and start hiring people that would corrode your culture. A business is built on culture and that culture is really the people that work in that firm. So, the people you hire and those that stay, advance or move on would determine what that business would become. Simply, make a very good case why that metric of number is irrelevant in a knowledge-based startup where the quality of the team is what matters. It is better to have two great engineers than 10 mediocre engineers. And from what you have done, that partner would see the quality of your vision and the mission to it. The vision is the aspiration of the future. The mission is what you want to get done now, in the short-time. The two are anchored on the culture of the firm – the people that work therein. Sure – growth will demand that you expand headcount but let it be based on real business needs and not the impulse to say “I have 250 staff now”. If your ego takes over, within months, you would be filling the whole company with people you do not need. Avoid that temptation if you want to thrive for the long time. Many startups which raised money in Lagos had this problem many years ago. They hired with reckless abandon and ended up causing pains to the staff when they had to fire them. I know of a young man who left a promising bank career for an ecommerce company only to be fired within weeks. If the company had thought-through that position, strategically, that hiring would not have happened. But when you measure growth and success by the number of employees, people do crazy things when they have money in the bank. Always remember – when WhatsApp sold for $19 billion, it had only 32 engineers (the total staff strength was around 55). 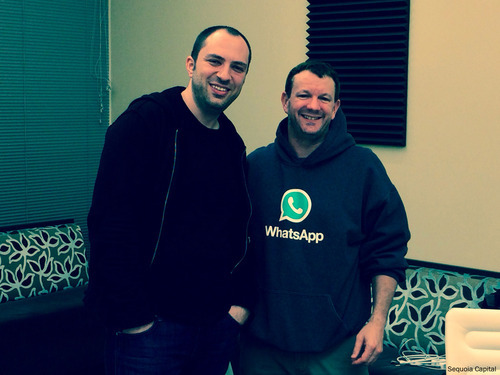 Even by the standards of the world’s best technology companies, WhatsApp runs lean. With only 32 engineers, one WhatsApp developer supports 14 million active users, a ratio unheard of in the industry. Yes, you can build a company in the age of cloud computing with very small people. Provided you feel good on where you are going, you do not need to justify relevance by the number of people on the payroll. The metric of labor was one of the factors of production. In the 21st century, the shift has been made. Any bank that parrots its strength by the number of staff in its payroll may be missing something: the world is moving into an era where robots and lines of codes would be the ubiquitous bankers. If you hire for self-esteem, you may not be helping those workers because very soon, market forces would push you to let them go. There are many cases of those experiences in Lagos in startups where after raising money, founders go on hiring spree only to cut promising careers within months.